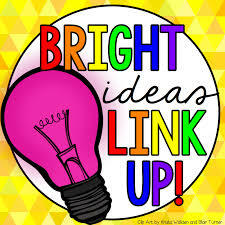 Today, I’m so excited to be part of a blog hop of great ideas- not products, not freebies, but just fantastic teaching ideas! I don’t know about where you live, but we have had many MANY days of indoor recess lately. With having gym only one day a week, my kids are really getting antsy! As a reading specialist who helps our struggling readers, I seem to see a decent number of kids who struggle with sitting still and/or focusing on the task at hand, even without the cold and snow keeping them inside. Skip counting is such a valuable skill, and can be ramped up for kids of all ages. Of course, you can count by 1’s, 5’s, 10’s, etc., but what about starting at 14 and adding ten more? What about counting by 3’s when you’re learning multiplication, or by 25’s when you’re learning about money? I have my students stand and do some kind of exercise while we skip count- jumping jacks, touching their toes, jumping in place, etc. My kids really enjoy the Just Dance videos on YouTube! I have a whole Pinterest board of brain breaks that get my students up and moving for 3-5 minutes, and it really helps them focus for the next hour. A kindergarten teacher I know even does the Cupid Shuffle, so her kids are counting and having to remember left from right. My kids especially love GoNoodle for LOTS of fun, interactive, and free brain breaks! As a bonus, tying some movement to the definition really helps my kids remember the word meanings. In my classroom, the students help me come up with a motion for the words and we run through them quickly every day. You can read more about my vocabulary routine here. Can you let your students make a list of something? Maybe it’s proper nouns, words with short o, ways to make 10, factors of 100, or comparing and contrasting with a Venn diagram. 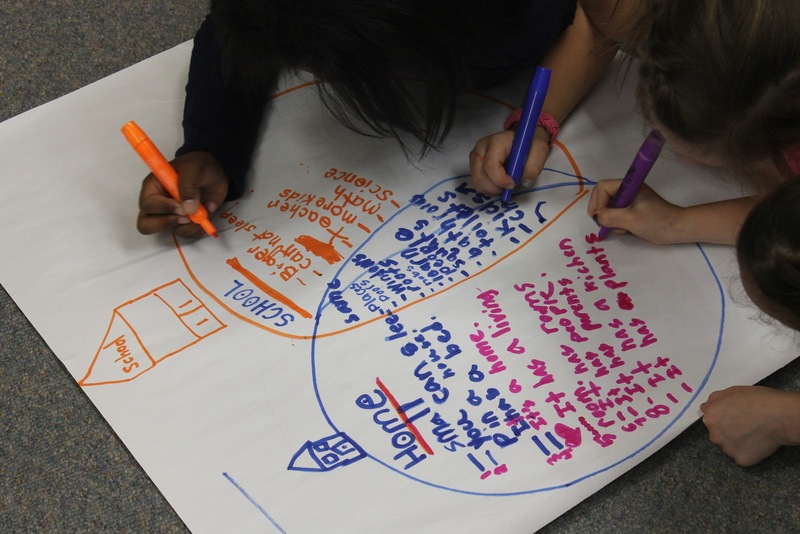 Give each group markers, a piece of chart paper, and a section of the floor. Working on the floor always helps my class with the wiggles, and they all love to participate! Have your kids practice spelling their words by thinking about where they sit on handwriting lines. For “tall” letters, like t or b, they reach hands up high. For “middle” letters, they put their hands on their hips. For “small” letters, they touch their toes. You can also have kids sit in pairs and “spell” a word with their finger on the other student’s back, and see if they can guess the word. 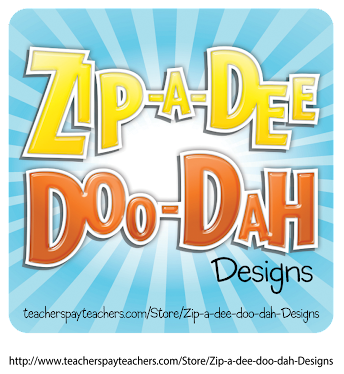 This is a program my school purchased, and it gives kids motions and chants for lots of common phonics patterns that they will encounter in reading. I love the way it makes phonics “stick” for my students- but it also gives them a chance to move! Sometimes the simple act of turning an assignment into a scavenger hunt by having students find words/ math facts/ questions posted around the room can make such a difference in how well my students can sit and focus afterwards- and they’re still getting the practice! Give your students a challenge to make a certain shape somehow with their bodies. They can use their fingers, their arms, their legs, or their entire torso- but somehow, can they make a square? A trapezoid? An isosceles triangle? Making geometry interactive is so much fun! Love finding ways to get my kids moving AND learning! 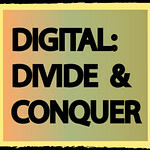 Next in the hop, you’re headed to Matt of Digital: Divide and Conquer, who’s sharing a simple tech tip for your classroom! We've had this problem for the past week of so because of the cold weather--kids were stuck inside for recess and getting restless. I will be sharing quite a lot of these ideas with my teacher-friends. I LOVE the geometry challenge--That is perfect and I'll have to use it next time. Awesome ideas for keeping kids moving! Tall, Middle, Small Spelling is such a clever idea! I can't wait to try it. I'm so glad to discover your blog! Great ideas for keeping kids moving and thinking! We have had so many indoor recess days already and more snow in the forecast this week!